Gone are the days when we needed to worry about our skin only once we hit our 40s. The current levels of pollution, stressful and sedentary lifestyle, unhealthy eating habits, and harmful exposure to UV rays can set our skin into premature aging. While you can indulge in some spa therapy, you’ll need to break the bank eventually to continue those pricey spa treatments. Also, the brilliant dewy glow that they promise often comes from a blend of chemicals. However, this shouldn’t stop you in any way from getting the most desirable and flawless skin. Even the most beautiful women around the world vouch for home-based masks to maintain soft and glowing skin. 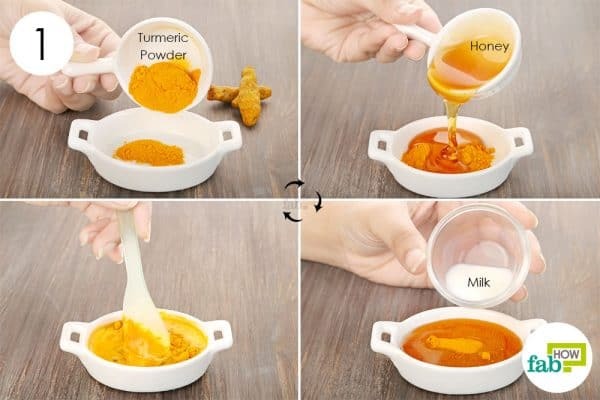 These masks can be easily made using common household ingredients and will give you a more lasting “all-natural” glow. 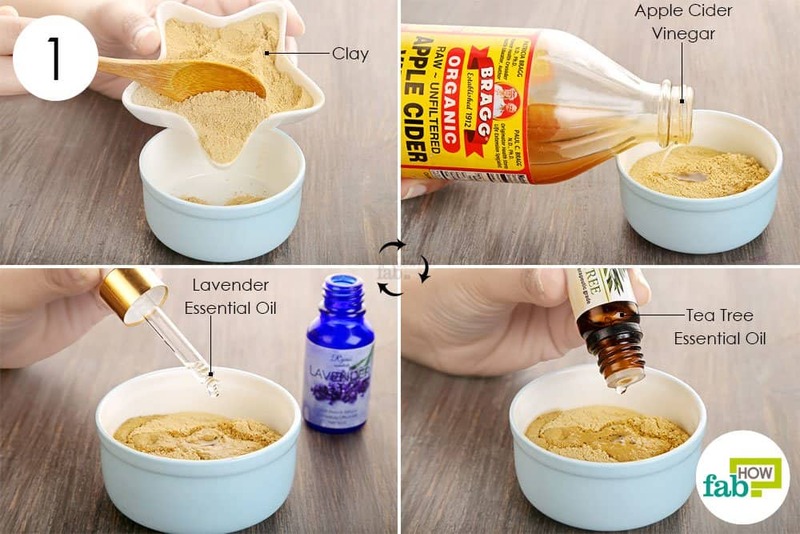 These DIY masks will help exfoliate your skin, lighten and brighten your complexion, and also reduce fine lines, blackheads, and dark spots. To get you started, we bring you the 10 best DIY homemade masks to get healthy and glowing skin. Note: As every skin type is different, it is better to do a patch test first, before applying these masks on your entire face. 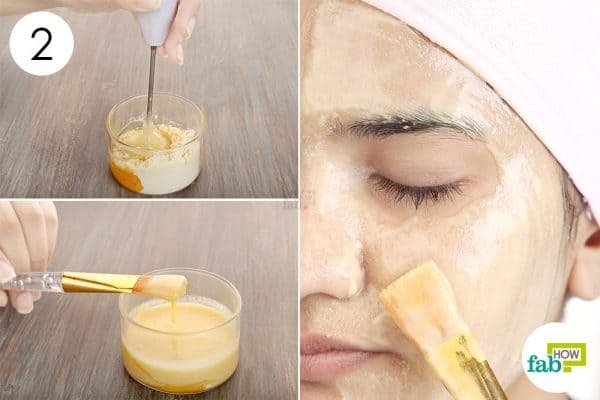 Also, while applying the mask avoid the sensitive areas around your eyes. 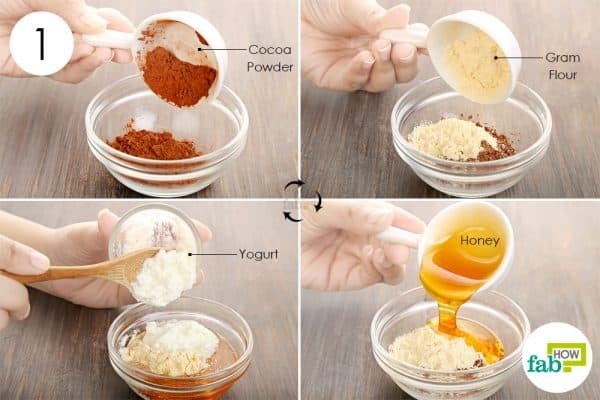 Combining it with honey and milk will make an incredibly simple yet effective face mask for glowing skin. 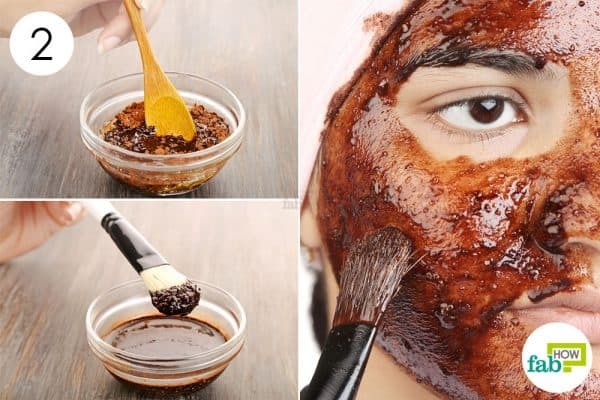 Honey acts as a humectant to keep the skin hydrated, and its antibacterial properties prevent breakouts. 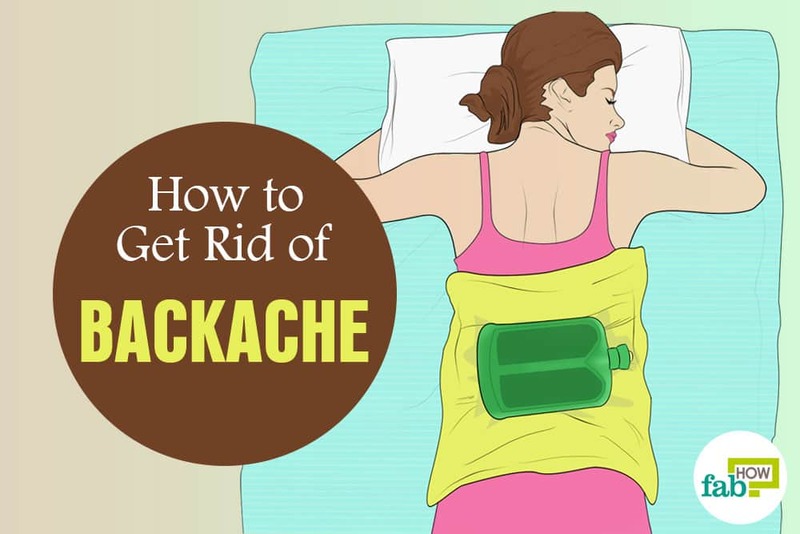 The lactic acid in the milk will work as a natural cleanser. 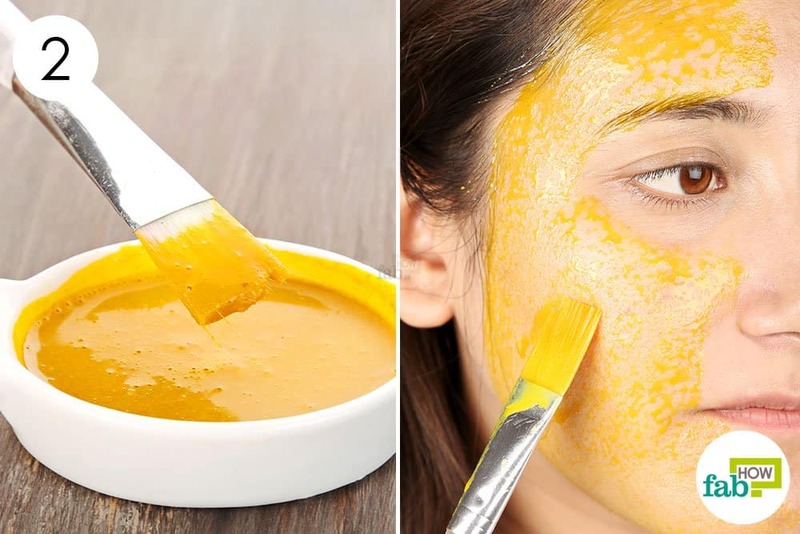 Note: If you are worried about the yellow tint on your face, apply some olive oil or avocado oil and wipe it clean with a paper towel. 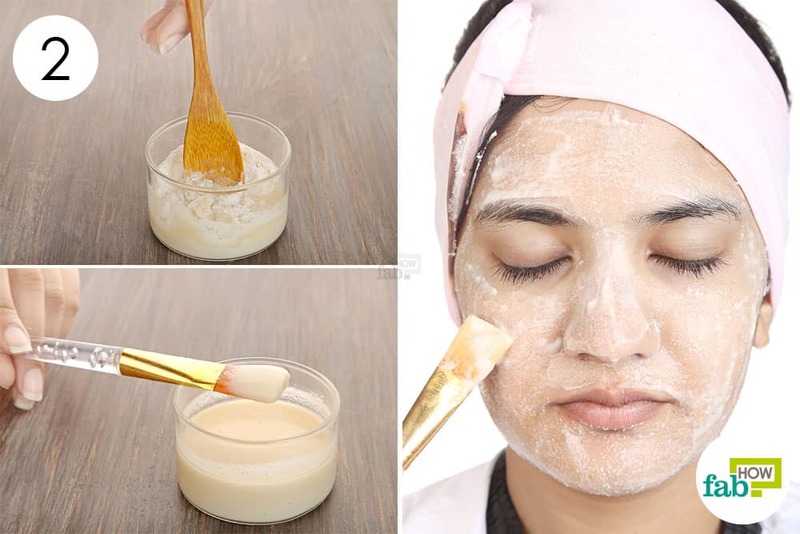 Using a clean applicator brush, apply the prepared mask all over your face and neck. Let it sit for 10 minutes, and then rinse with cool water. 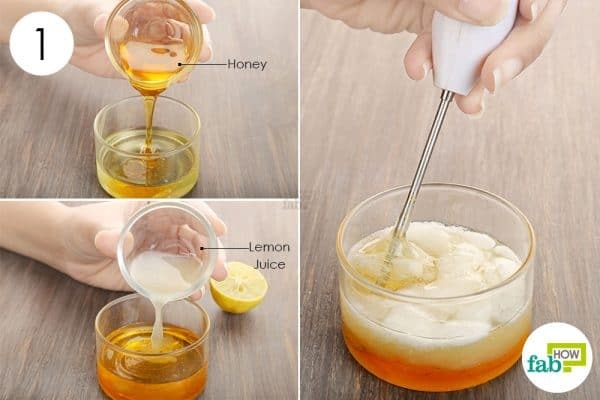 You can also use a homemade honey-based cleanser to wash off the yellow stains. Oatmeal, on the other hand, gently exfoliates and cleanses the skin. This combination is well suited for both dry and oily skin when combined with other nourishing ingredients. Rinse with lukewarm water. If needed, apply a light moisturizer. Repeat application once or twice every week to maintain a blemish-free healthy skin. 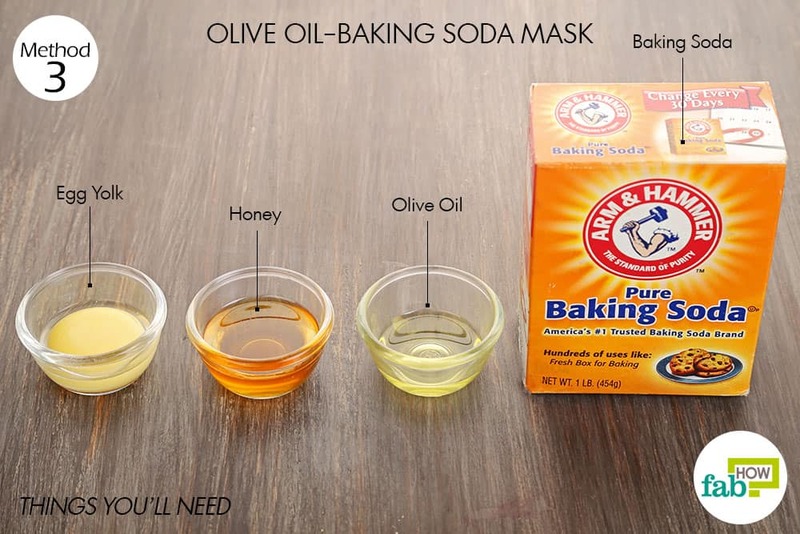 The baking soda in this mask acts as a gentle exfoliant for your skin. 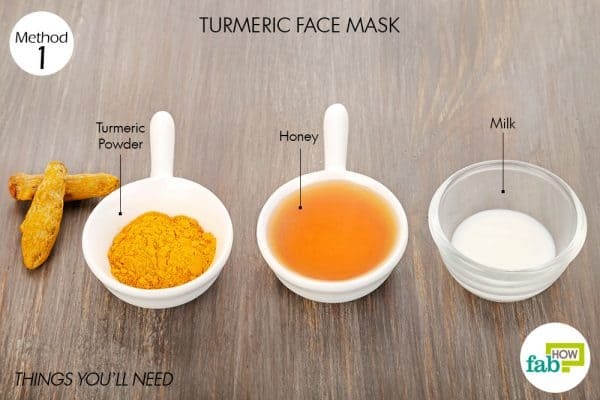 This mask recipe also uses honey to fight off acne-causing bacteria. 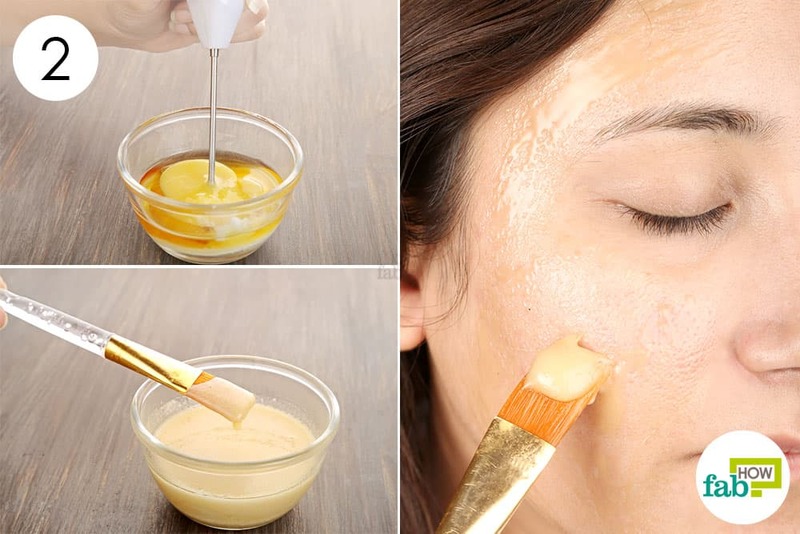 Optionally, you can add an egg yolk to further boost collagen production and improve your skin’s elasticity. Optionally, you can add 1 egg yolk as well. 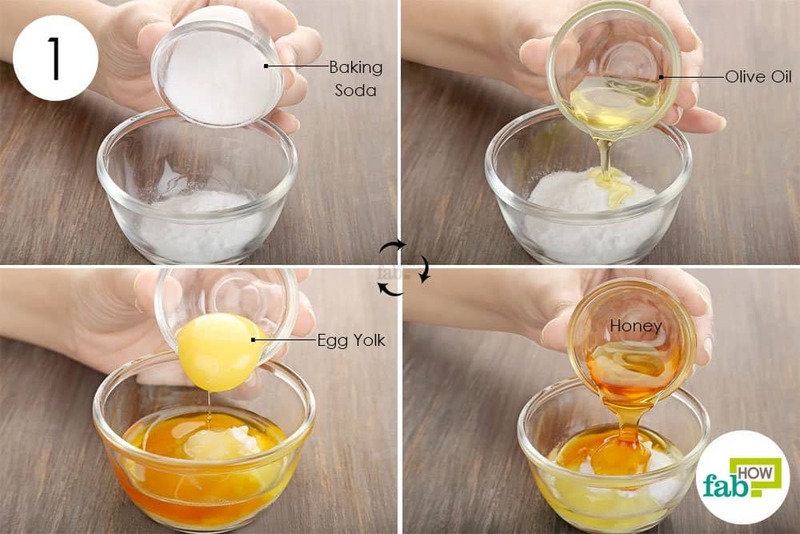 You can learn easy tricks to separate an egg yolk from the white here. 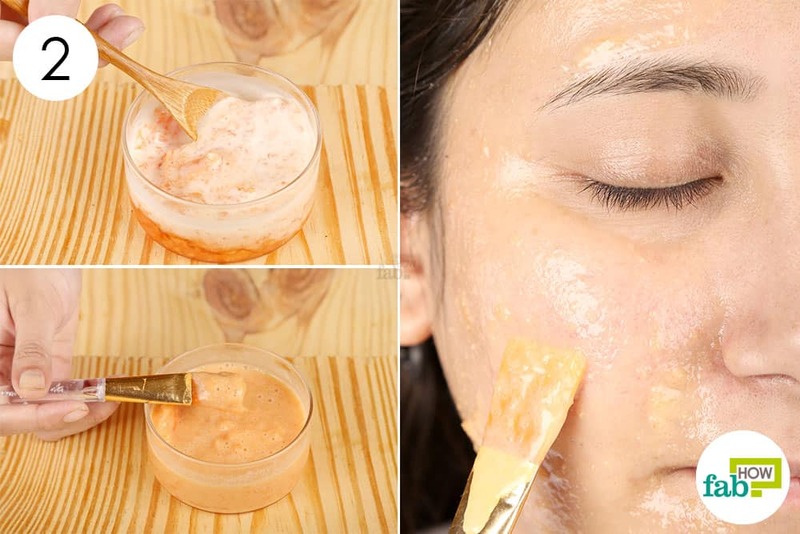 Apply a thin layer of this DIY Homemade mask on your face. Environmental pollution and excessive use of cosmetics can rip off the natural glow of your skin. 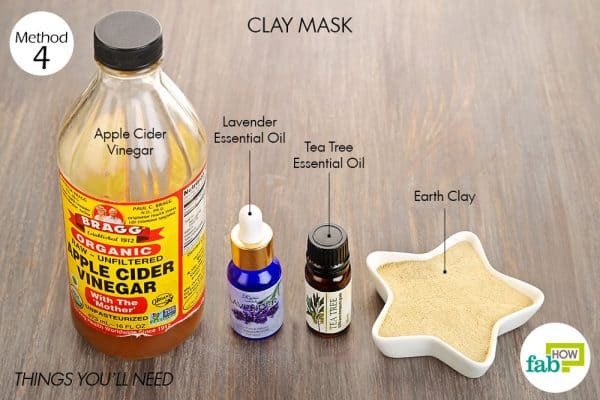 To help your skin recoup, use this detoxifying clay mask. 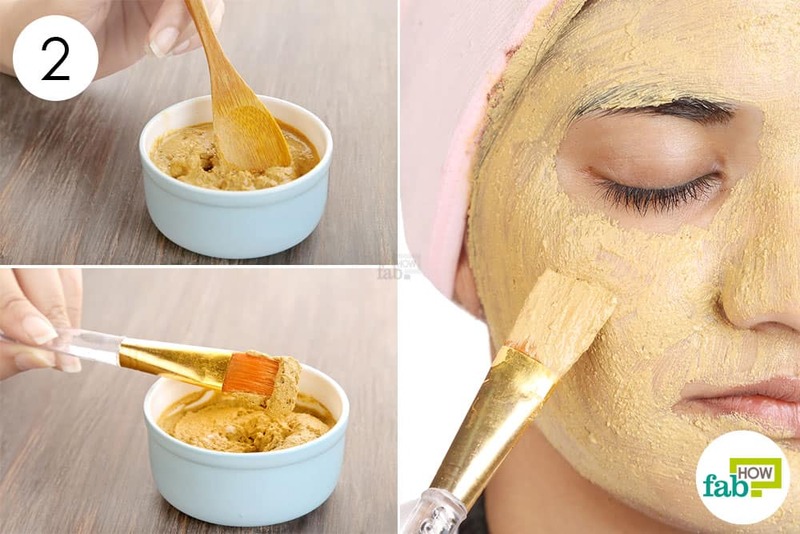 The clay helps draw out impurities from your skin. The other ingredients help rebalance the pH of your skin as well as keep it protected from breakouts. Using an applicator brush, apply an even layer of the clay mask on your entire face, except the eye region. 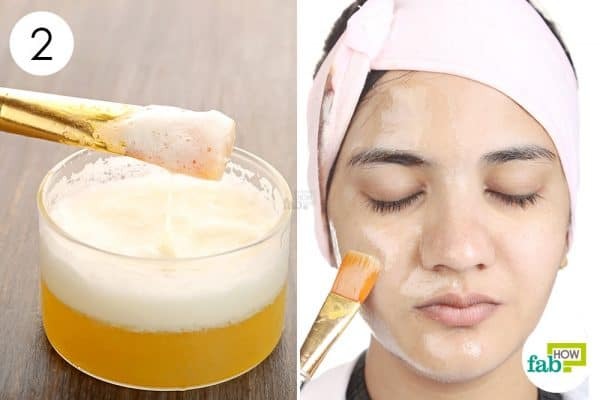 Rinse your face with water and apply moisturizer. Eggs are an excellent source of protein that helps improve the elasticity of your skin. 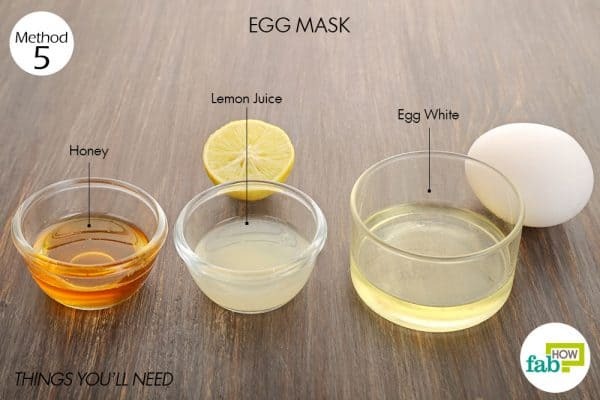 Egg whites, in particular, help shrink pores and tighten skin and reduce the occurrence of blackheads/whiteheads. This egg face mask uses honey to keep your skin hydrated and lemon that works as a natural bleaching agent to improve skin tone. 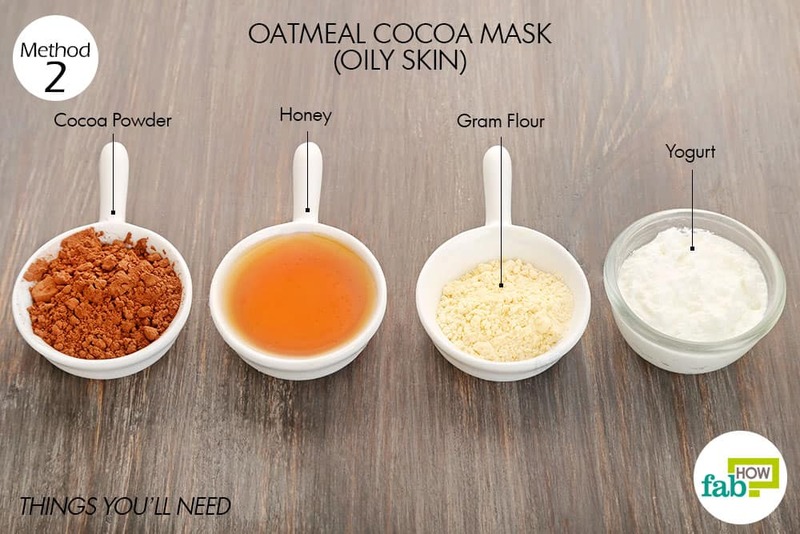 Use this mask once a week to improve your skin tone and get firm and radiant skin. 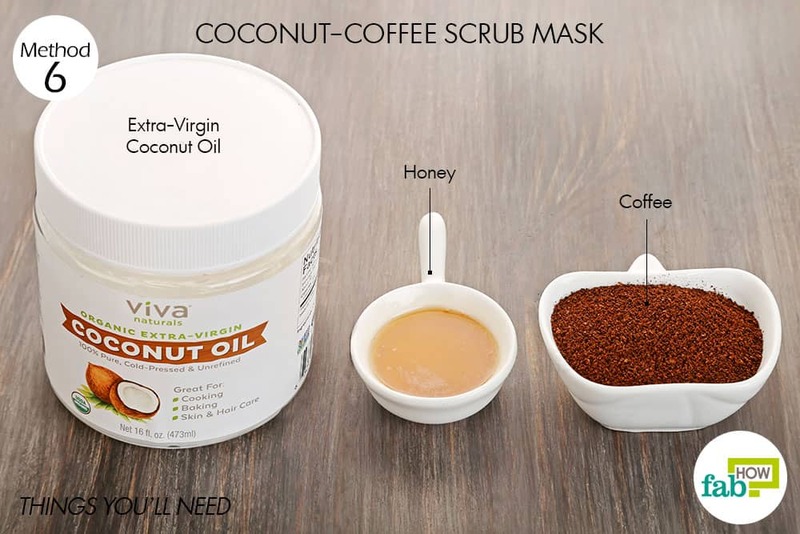 This amazing scrub mask will not only exfoliate your skin, but the fantastic smell of the mask will also lift your mood. 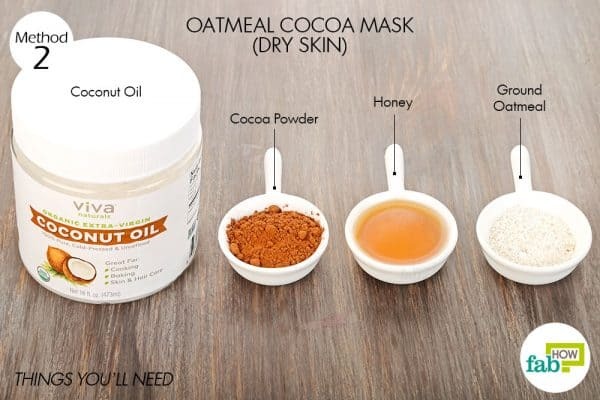 The coconut oil in the mask works as a wondrous skin healer, protector, and hydrator. The antioxidants present in coffee help fight free radical damage, and the caffeine increases blood flow in the face to give your skin a glowing boost. 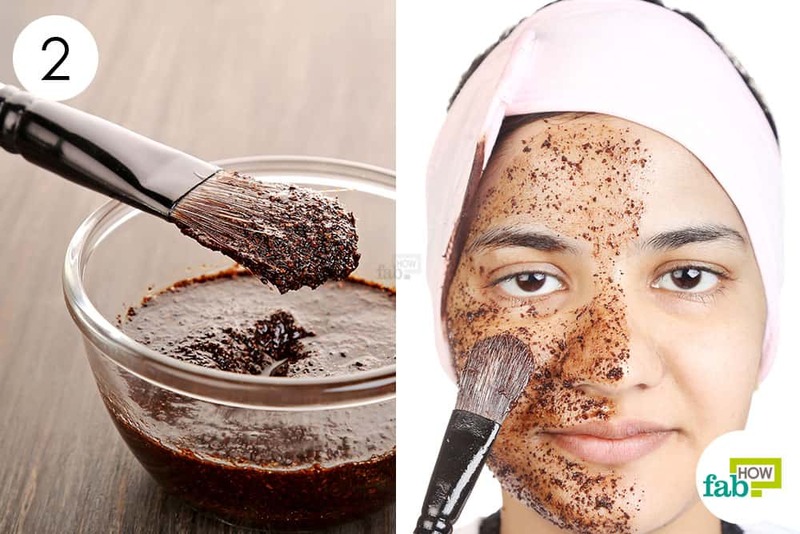 Vasoconstriction and the constriction of blood vessels reduce inflammation under the skin, and it is another property of caffeine that can treat dark circles and smooth fine lines. 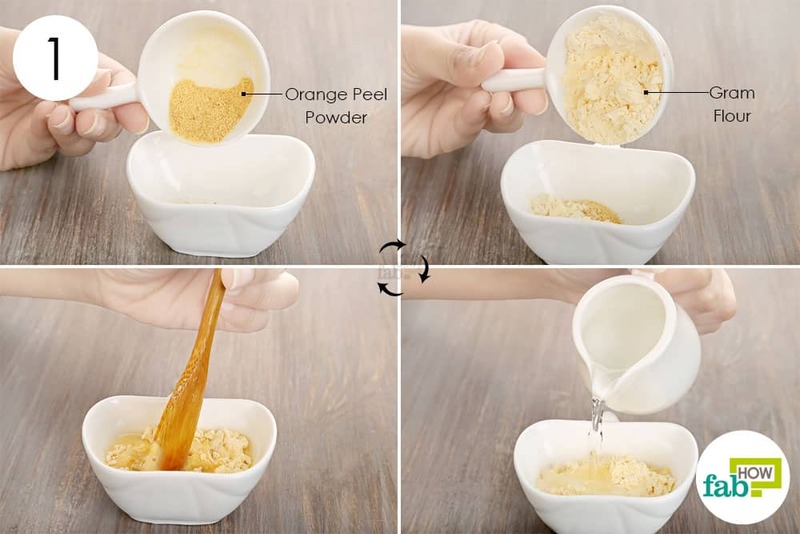 (6) The mask also has the goodness of honey that will keep the skin protected. 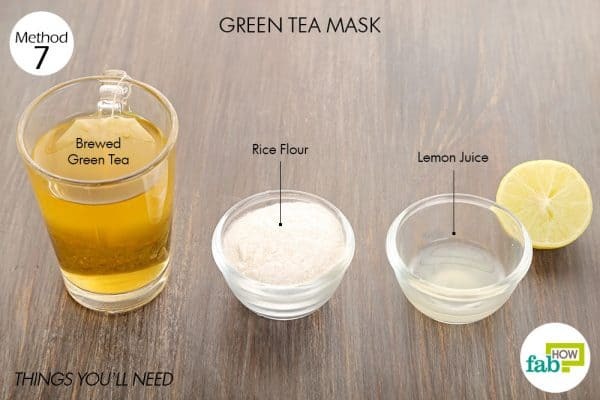 If you have oily skin, then this green tea mask can help you lose that unwanted gleam and maintain a healthy glow. Green tea contains catechins that work as powerful antioxidants to reverse damage and give you beautiful hair and skin. The same antioxidants also impart astringent properties to green tea that help shrink pores. This mask also uses rice flour that works as an exfoliant and skin-whitening agent. The lemon, on the other hand, helps reduce dark spots and acne scars (if any). 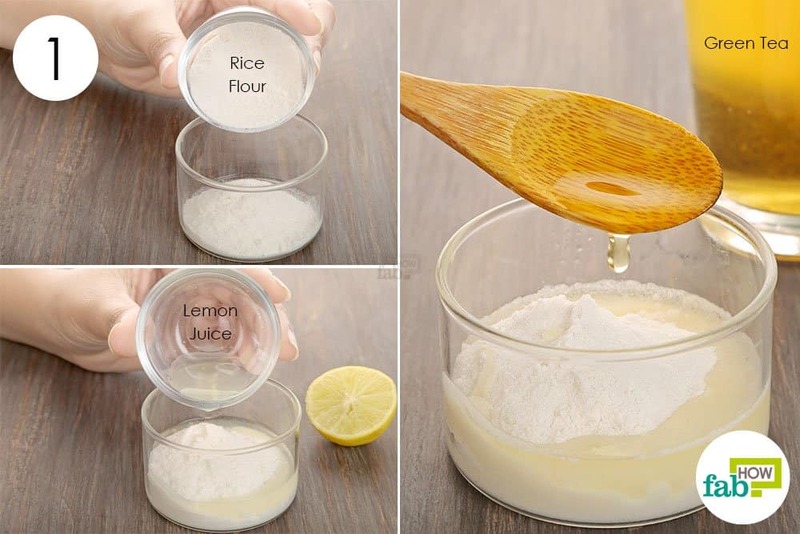 Add to it 1 teaspoon of fresh lemon juice. If you want to learn cool hacks to get maximum juice out of a lemon, click here. 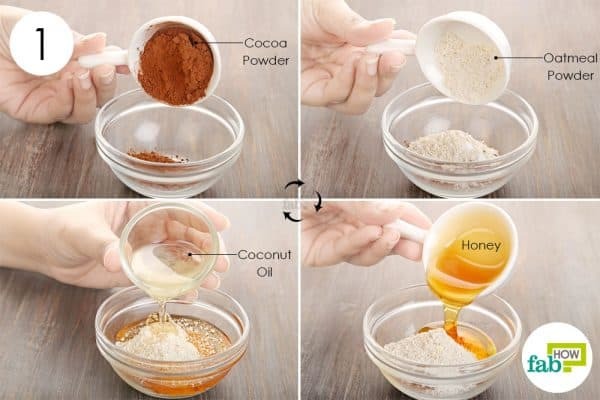 Repeat 1 or 2 times every week to improve the texture of your skin and lighten your skin tone. Another effective mask for acne-prone skin is one that uses aloe vera and gram flour. The antibacterial and anti-inflammatory properties of aloe vera help kill the invading bacteria and also bring down the inflammation in breakouts. 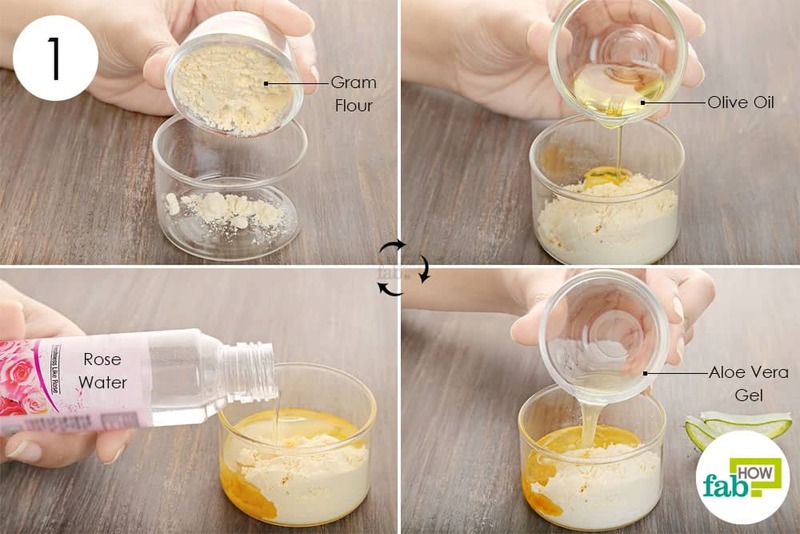 Gram flour, on the other hand, absorbs excess sebum and also exfoliates the skin. 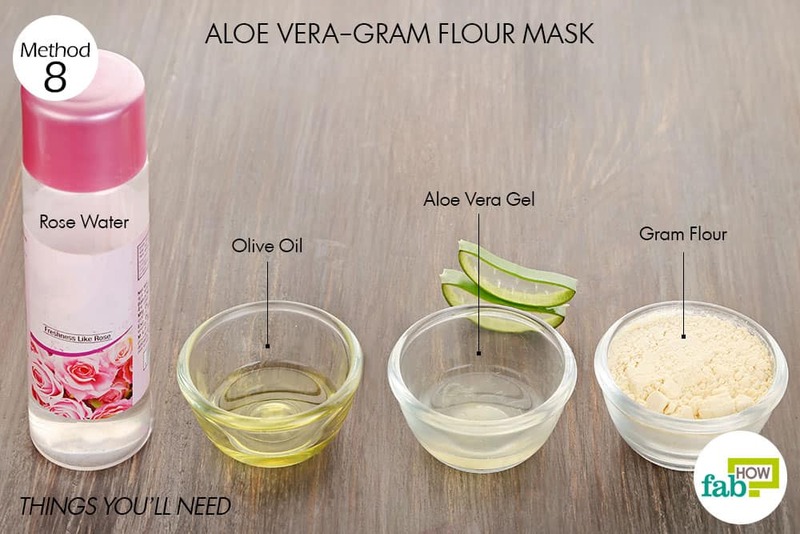 The mask recipe also uses olive oil that helps nourish your skin without turning it excessively oily, and rose water that soothes the skin. Add to it 1 teaspoon each of olive oil and aloe vera gel. You can also learn to make your own aloe vera gel here. Once dry, rewet the mask and massage your face to remove the mask, before rinsing it off with cold water. 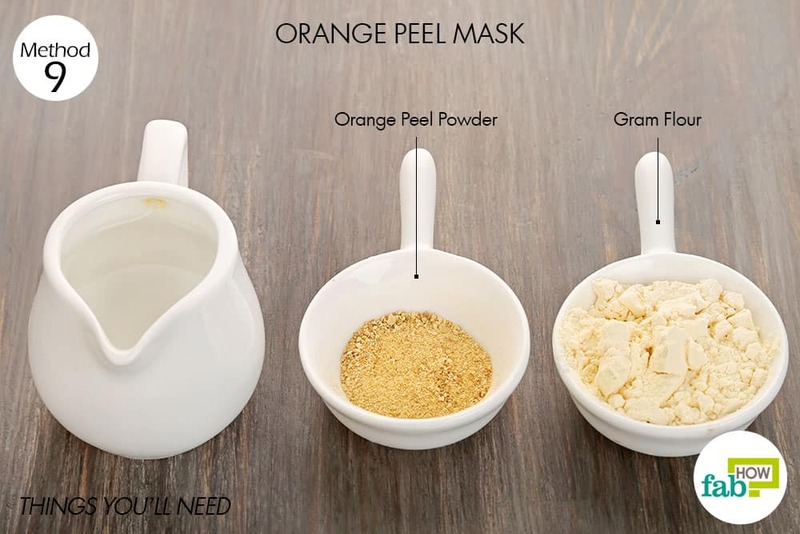 Orange peel can also be incorporated in powdered form to lighten and brighten your skin. It is rich in vitamin C and antioxidants that give a healthy boost to your skin while also preventing it from free radical damage. Combine it with gram flour to counter oily skin. 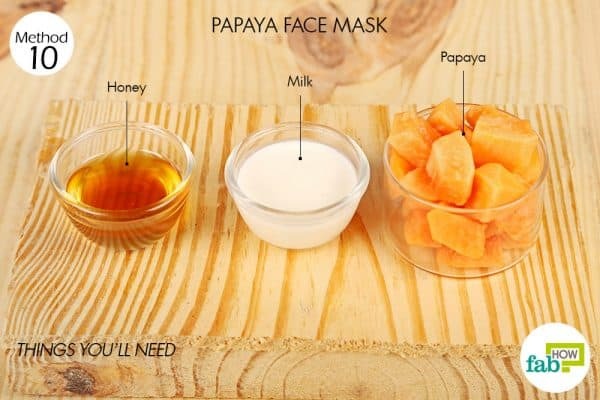 Papaya masks are great for people with dry skin. The enzyme papain found in papaya helps exfoliate the skin, leaving it soft and supple. 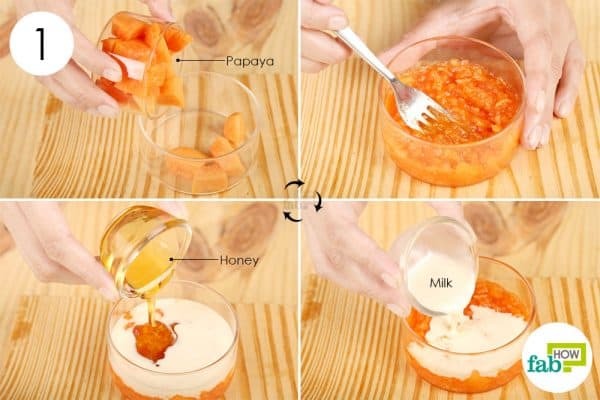 Though you can apply papaya pulp itself to improve skin texture, combining it with honey and milk can amp up its effectiveness significantly. 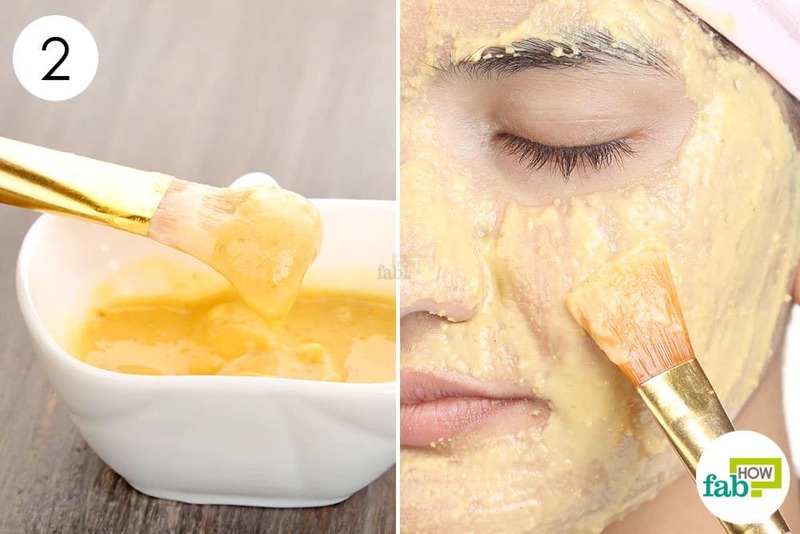 If you have dry skin, always apply a moisturizer after using a face mask. Avoid using hot water to wash your face as it can turn your skin dull and dry. Always remove makeup and wash your face before hitting the bed. Your skin should be able to breathe to repair itself at night. Reduce the intake of alcohol and eat more fruits and vegetables to maintain a healthy body and glowing skin. Ak T, Gülçin I. Antioxidant and radical scavenging properties of curcumin. Chemico-Biological Interactions. https://www.ncbi.nlm.nih.gov/pubmed/18547552. Published July 10, 2008. Katz DL, Doughty K, Ali A. Cocoa and Chocolate in Human Health and Disease. Antioxidants & Redox Signaling. https://www.ncbi.nlm.nih.gov/pmc/articles/PMC4696435/. Published November 15, 2011. Telang PS. Vitamin C in dermatology - PubMed Central (PMC). Indian Dermatology Online Journal. https://www.ncbi.nlm.nih.gov/pmc/articles/PMC3673383/. Published June 2013. 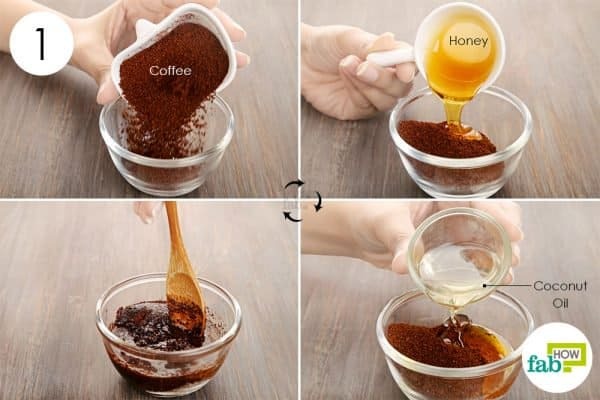 Topical caffeine For Skin Treatment. IAPAM. 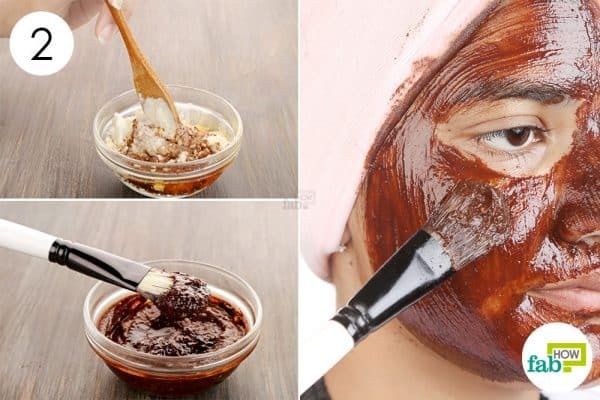 https://iapam.com/topical-caffeine-for-skin-treatment.html. Published June 14, 2017.